Every so often a machine comes along that is so well designed that its usefulness doesn’t diminish over time. 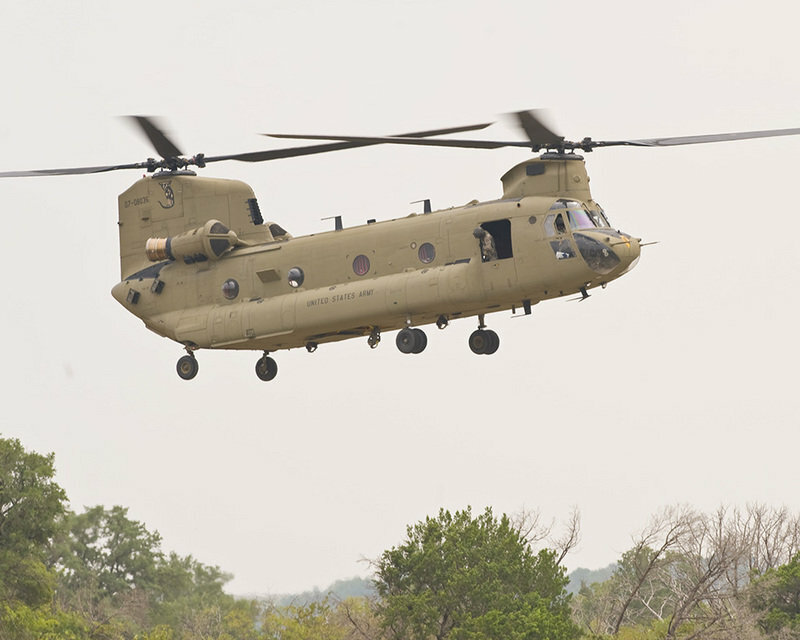 The mousetrap is the classic example, but CH-47 Chinook is a rare example of a much more complicated machine that has achieved a similar status. Tweaks have been made over the years, but the CH-47 and the many related variants have stayed on as the longest-serving helicopter model in the history of the U.S. military by being such a great design to begin with. It’s even good enough that a car site is reviewing a helicopter for Veteran’s Day. The CH-47 was first introduced in 1962, and was used from the beginning of the U.S. involvement in the Vietnam War. It was still a pretty new piece of equipment in those days, so there weren’t very many of them for a while, and there was a steep learning curve, but it soon became obvious that it was an incredibly useful machine. 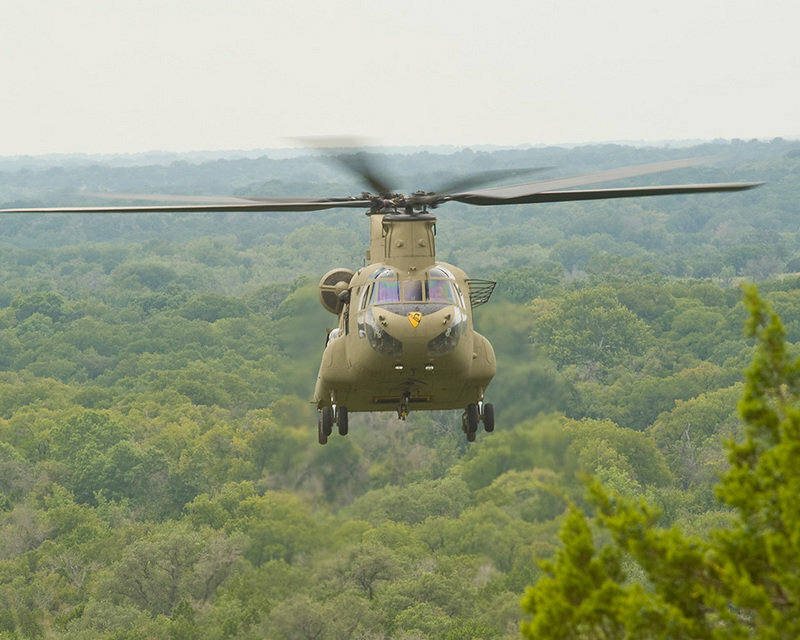 Today, improvements have been made and the Chinook is more useful than ever, a helicopter capable of doing the work of three smaller utility helicopters. The name Chinook, like many of the U.S. Army’s helicopter names, comes from the name of a Native American tribe. The Chinook doesn't necessarily come with any weapons. The Chinook is big, really big. The fuselage measures 52 feet in length, and is 18 feet 11 inches tall. But it’s interesting to note that it’s actually only a foot longer than a UH-60 Black Hawk. It looks so much bigger because the shape of the Chinook’s fuselage is so different from that of other helicopters, and it eliminates the need for a tail. In place of a tail rotor, the Chinook just has a second main rotor, raised on a pedestal to keep the two sets of blades from hitting each other. There is a large cargo ramp in the back for easy access to the cargo area, and the Chinook is steady enough that ramp operations can even be carried out on water. The Chinook, being a cargo helicopter, doesn’t necessarily come with any weapons. But it is often used for air assault missions, transporting infantry to and from combat areas, and for these situations, it can be equipped with up to three 7.62mm M240 machine guns. But the real protection comes from the fact that Chinooks in these situations are usually escorted by AH-64 Apache attack helicopters. The interior cargo area of the Chinook is massive, and the reason why the helicopter exists in the first place. There is space for 33 troops with all of their equipment, or two HMMWVs (Humvees) or one HMMWV and a 105mm howitzer and its crew. It can also be used for casevac (casualty evacuation) missions, and in this role it can hold up to 24 litters (stretchers). The Chinook can a much heavier load than will fit into the cargo area, generally speaking. But early models didn’t have engines that were quite as powerful, and the sheer size of the interior combined with the fact that few had actual practical experience with the helicopter to result in several instances of Chinooks being overloaded. But this isn’t such an issue today. Logically enough, the Chinook has two engines, one for each rotor. But should one of the engines fail, it is possible for one engine to power both rotors. The engines as Honeywell 55-GA-714A engines on the current model, each of which produces 4,733 horsepower. This is a turbine engine, and the Chinook was built specifically so that the Army could have a turbine-powered cargo helicopter to go with the existing small turbine-powered UH-1 “Huey” utility helicopter. 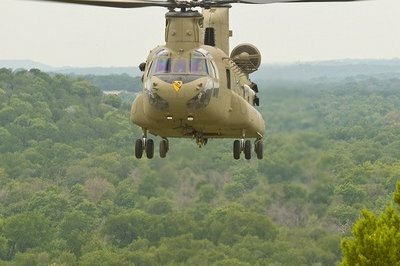 The result was that, since the helicopter had so much power, and the two rotors to move it, the Chinook was the fastest helicopter in the military’s arsenal when it was new, and it is still among the fastest. I can tell you as someone whose job it is in the Army to refuel helicopters, this is a serious concern. The Chinook’s speed is one of many features that make it so useful, but the twin rotors have the added benefit of also making for a helicopter that is far more stable than is possible with only one rotor. This makes it well suited to air assault missions, when troops might be exiting via ropes while the helicopter is still airborne. The downside is that the rotor wash (the wind created by the rotors that is felt no the ground) is also much greater from the twin 60-foot rotors than you get from any other helicopter. I can tell you as someone whose job it is in the Army to refuel helicopters, this is a serious concern. The real advantage of the Chinook is its cargo capacity. There is a large internal cargo area, but there are also external hooks that can carry larger equipment. 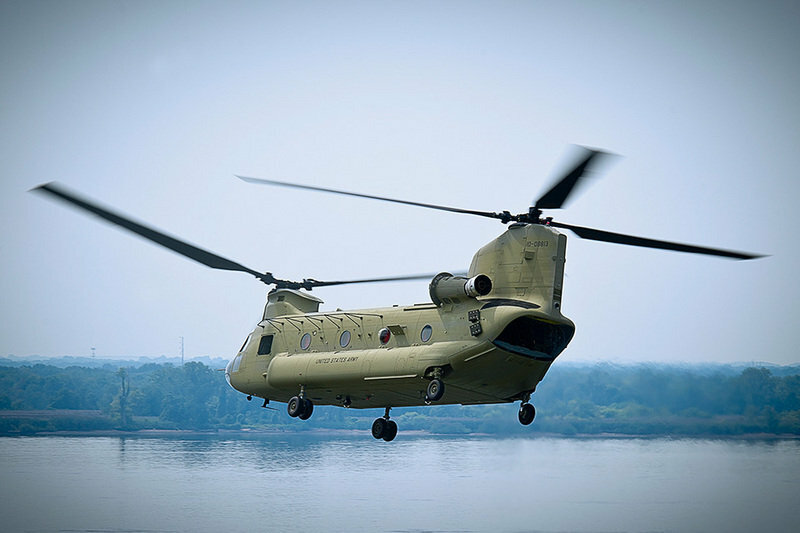 The total capacity on the current model is 28,537 pounds, up slightly since the introduction of the CH-47F in 1999. The biggest upgrade came in 1982, when more powerful engines and composite rotor blade were introduced, as well as improved controls and redundant electrical systems. The Chinook has done a remarkable job of staying up to date, and still carried several times more cargo than any other helicopter used by the military. As such, it is still the easiest and most cost-effective way for cargo to be moved by helicopter. Since the CH-47 has been around for so long, there are quite a few different versions that have been spun off. These are too numerous and specific to go into here, but they have included versions for different branches of the military, versions with armoring and more serious weaponry, and even a prototype three-rotor design for lifting even heavier loads. But it is worth noting here that there is also a civilian version of the CH-47. It goes by a few different names, but is usually called the Model 234. Many of these are used for cargo hauling, but versions exist that just carry passengers. Having a piece of equipment in service with the military for a long time isn’t always a sing of good quality, but it does tend to be when it comes to aircraft. There is only one aircraft currently used by the military that is older than the Chinook, and that is the fixed-wing C-130 Hercules cargo plane. Both of these aircraft are just so good at moving cargo from one place to another that trying to design something better has proven pointless. It is the proverbial building of a better mousetrap.